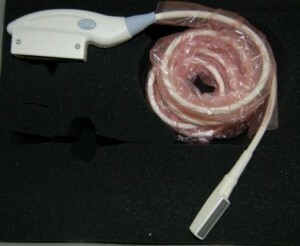 UsedUltrasound.com has you covered when it comes to used intracavity ultrasound transducers for sale. We carry used ultrasound machines from virtually every manufacturer, and we can provide quality ultrasound probes and transducers for any model, old or new. No matter what ultrasound application you need, from OB/GYN to general imaging to intracavitary ultrasound, we are ready to help you save time and money. If may seem like all ultrasound equipment companies are pretty much the same, but nothing could be further from the truth. There are several questions you need to ask before buying used ultrasound probes online. Do they provide any kind of satisfaction guarantee? Are they based in the United States or overseas? Do they have a toll-free phone number for customer service? And are they registered with the FDA? At UsedUltrasound.com, the answer to all of those questions is yes. That’s why so many medical professionals rely on us for all their used ultrasound equipment needs, including our inventory of refurbished intracavity ultrasound probes for sale. We want to make it easy for you to find the lowest prices on used intracavity ultrasound equipment, so we are always happy to provide current pricing information with absolutely no obligation at all on your part. We understand that you might not be ready to buy right now and might just be shopping around and comparing used ultrasound equipment prices. 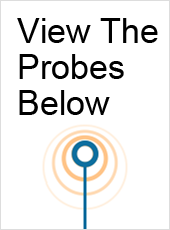 If you want a fast price quote on intracavity ultrasound transducers and probes, simple give us a call or fill out our simple contact form. Our dedicated ultrasound service staff will be happy to discuss pricing, shipping, financing or how you can save money with one of our ultrasound service contracts. Our top priority is to save you money on the best quality refurbished ultrasound machines, probes and transducers available. 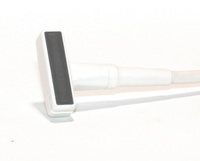 The GE i739-RS ultrasound probe is a wide-band linear array. Currently, the GE i739-RS is compatible for use with the GE Logiq Book XP. The GE t739-RS ultrasound transducer is a linear probe. Compatible with the GE Logiq Book XP, the GE t739-RS ultrasound transducer expands the use of GE’s most popular portable ultrasound .